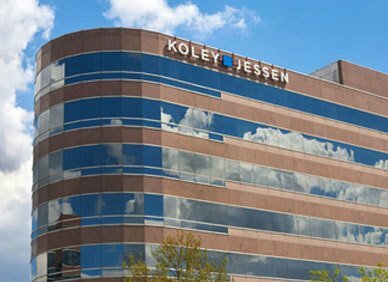 Seven summer associates have begun working at Koley Jessen and will be with the firm until mid-August. Three are returning for their second summer at the firm and four are new to Koley Jessen this year. Returning to the firm this summer are second year summer associates Elisa Born, Matthew Gillespie, and Tina Piatek. Born and Piatek attend Creighton University School of Law and Gillespie attends Washington University in St. Louis School of Law. Joining Koley Jessen as first year summer associates are Annie Hartnett, Carter Lowman, Alyssa Stokes, and Julie Ward. Hartnett attends the University of Iowa College of Law, Lowman attends Creighton University School of Law, Stokes attends the University of Nebraska College of Law, and Ward attends the Washington University in St. Louis School of Law. "We are excited to have these seven impressive law students on board for the summer,” said Alex Wolf, Recruiting Committee Chairperson. “We strive to provide real 'hands on' experiences such as attending court hearings, trials, depositions, the closing of a transaction and client meetings, in addition to legal research and writing projects. The seven summer associates will participate in three rotations during the program, which provides the opportunity to gain exposure to several practice areas." Koley Jessen P.C., L.L.O. (www.koleyjessen.com) is a full-service law firm based in Omaha. Koley Jessen’s 60+ attorneys represent a diverse group of business and individual clients in more than twenty areas of practice, including mergers and acquisitions, securities, banking, finance, tax, real estate, environmental, health care, employment and labor relations, employee benefits, intellectual property, emerging business, education law, estate and business succession planning, and litigation.